Liverpool will be well-represented in Sunday’s U20 World Cup Final in South Korea with three of the club’s youngsters preparing for England’s decisive clash against Venezuela. Sheyi Ojo could be promoted to the starting lineup following a game-changing display that saw him come off the bench at half-time to play an influential role in his side’s 3-1 semi-final win over Italy, having initially been a goal down. The winger was the source of two vital assists and proved to be a nightmare for the Italians to keep tabs on thanks to his intricate link up play when cutting in on his left foot and also his ability to beat his marker out wide before whipping in crosses. It was Ojo taking full advantage of the talent he possesses in the way Jurgen Klopp is desperate for him to and the kind of measured and positive performance that seemingly put him a level above of his opponents. Ovie Ejaria’s role could yet again be minor with the midfielder having only started one game in the tournament, coming in the group stages, with the rest of his appearances coming off the bench. That said, his difficulty consolidating a place in the first eleven after a solid performance in his only start is testament to what a gifted group manager Paul Simpson has at his disposal. Unsurprisingly, striker Dominic Solanke looks set to retain his place up top having been the star man throughout the competition so far. 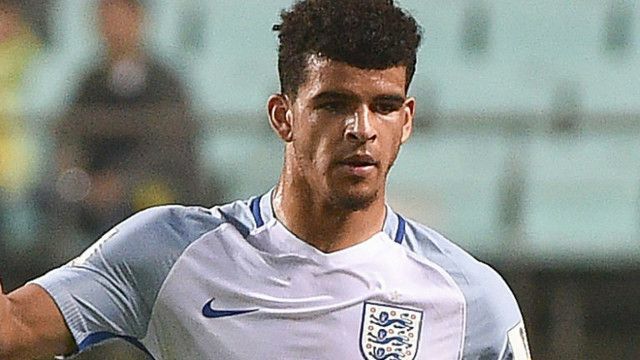 Liverpool will be notably keen to see the forward experience World Cup glory with Solanke set to finalise a move to Anfield on July 1. The Golden Boot also beckons for the 19-year-old with his current tally of four goals putting him just one behind Italy’s Riccardo Orsolini, who still has the chance to add to his five in the third-place play-off match. It promises to be a momentous occasion with the game marking England’s first world final at any level since 1966, thereby giving the Reds trio an incredible opportunity to make a name for themselves and not only finish the season on a high, but also get their pre-season off to a perfect start. The game, scheduled for an 11am kick-off, will be another ideal chance to have a good look at the club’s starlets, Solanke in particular, and a welcomed opportunity for all English football supporters to cheer on their team in a rare final. For those keen on watching, the match will be broadcast on BBC2 and Eurosport.